Walmart is one of the biggest retailers in the US and sells thousands of products to millions of customers everyday. 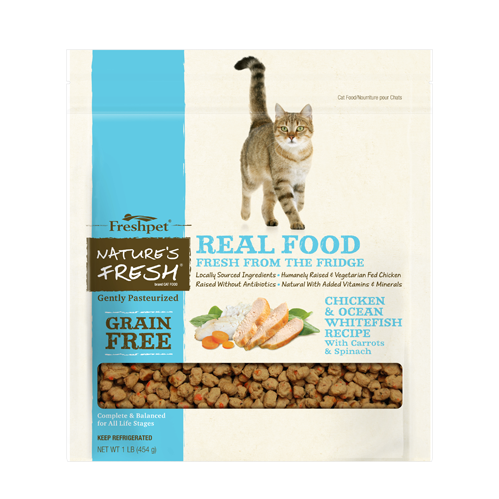 At Walmart.com, we find that Freshpet parents share comments and opinions about the experiences they've had with Freshpet foods. 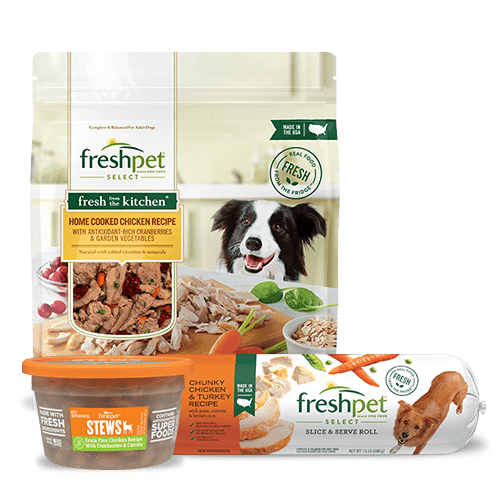 We thought we would share some of the actual Dog Food Reviews about Freshpet recipes from Walmart customers. 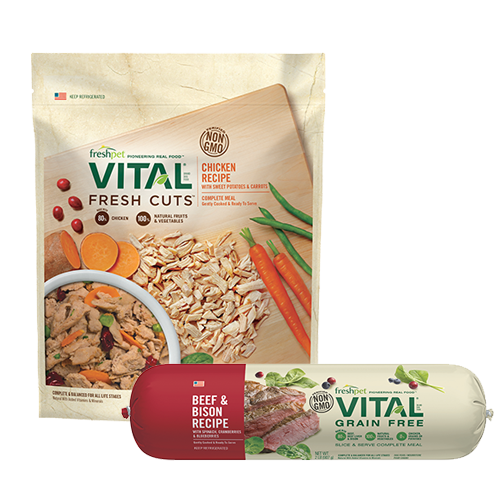 Freshpet Select Chunky Beef with Vegetables & Brown Rice Recipe - here is what two pet owners said: “I bought the chicken flavor and my dog loves it. He has never ever liked soft food, but this smelled so wonderful, just like liver sausage, and he was in heaven. 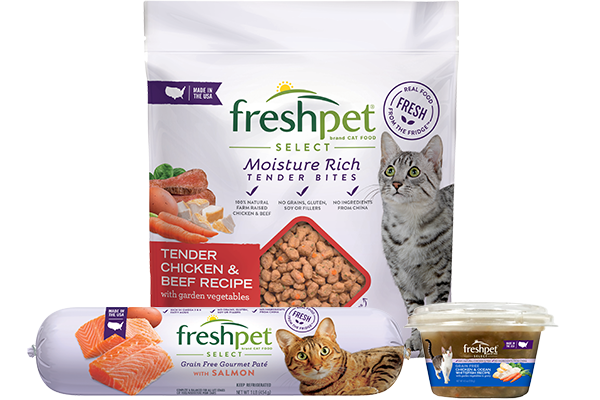 5 Stars for Fresh Pet Select! !” – waldobuddiesmom “Excellent product. 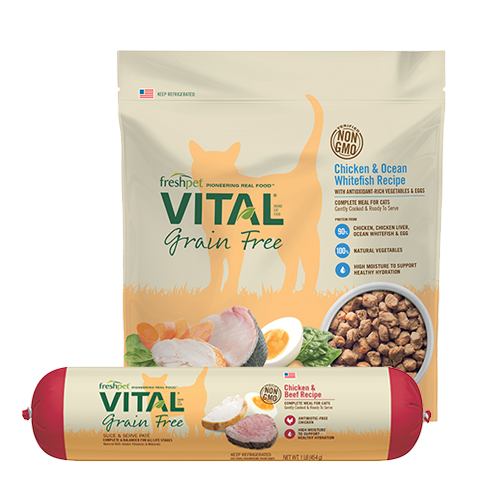 My pet eats a mixture of solid and soft pet foods daily. The product is similar to a more expensive product available at a well known pet store retail chain. 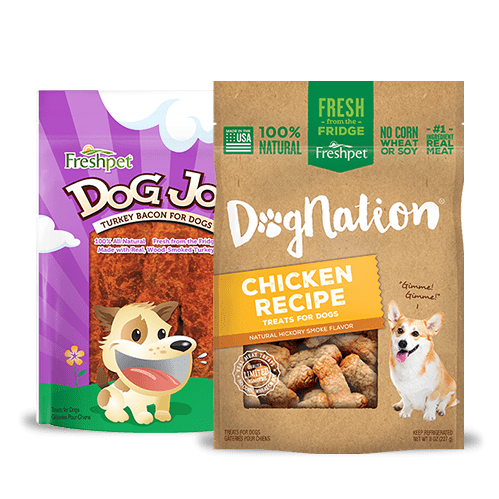 My older pet (12 -years) loves this product!” – DFWnovelista For Freshpet Select Tender Chicken with Crisp Carrots & Leafy Spinach Dog Food Recipe - this is what Janet shared: I have 3 Dachshunds and all 3 loved this stuff. They normally don't care for any of the "Good for your dog" food but this they could not get enough of. When you feed a good healthy dog food you will notice it their stools. Smaller and not go as often. Cheap dog food goes right through. I am picky what I feed my dogs and I would buy again. 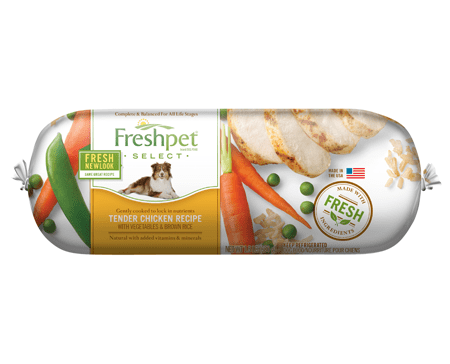 I'm going to check if their are other flavors” – Janetk1095 Stensland462 said this about Freshpet Select Tender Chicken with Vegetables & Brown Rice Recipe: “I started using Freshpet a couple of years ago getting it at my local store, my dogs Kara and Jolie, love it. Now Walmart carries it even better! I swear they know which bag it is in when I come home from Walmart. Ever since I started using it, their coats look better and they are little energy balls. 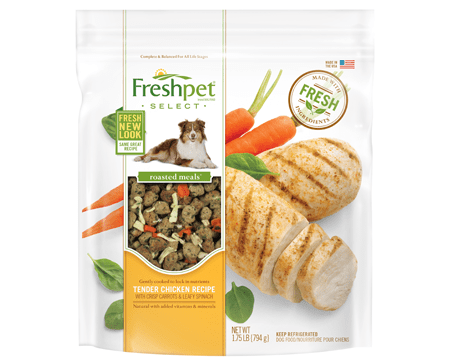 Love it, love that it is at Walmart.” – Stensland462 Thanks to Freshpet Select Tender Chicken with Crispy Carrots & Leafy Spinach Dog Food recipes, Buddyand Hollysmom’s dogs are buzzing with positive energy! 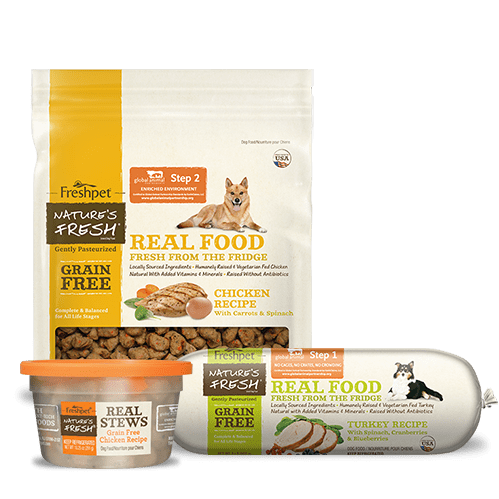 “We were struggling to find a dog food that both of our dogs would eat and our dog sitter suggested we try this new fresh food. We can't keep food in the bowl now and they are more energetic and seem happier.” - BuddyandHollysmom If you’re trying to decide whether a product would be good for your dog or not, reading comments and reviews from actual users of Freshpet at Walmart.com will help to make your decision less complicated and well-informed.